Take The First Step Towards The Bright, Beautiful Skin You Always Wanted -Starting Today! Have your dreams of perfect skin been stopped dead in their tracks by your skin complex, dark spots, or signs of hyperpigmentation?. Aren’t you sick and tired of wasting time and money trying chemical-based skin whitening and brightening products that, not only are exceedingly expensive, but also end up doing more harm than good?. If that’s the case, then treat your skin to what could be missing; this wonderful natural skin lightening serum could be exactly what you need! You can forget about having to spend a fortune on products that aren’t effective and burdening your skin with unnecessary chemicals. 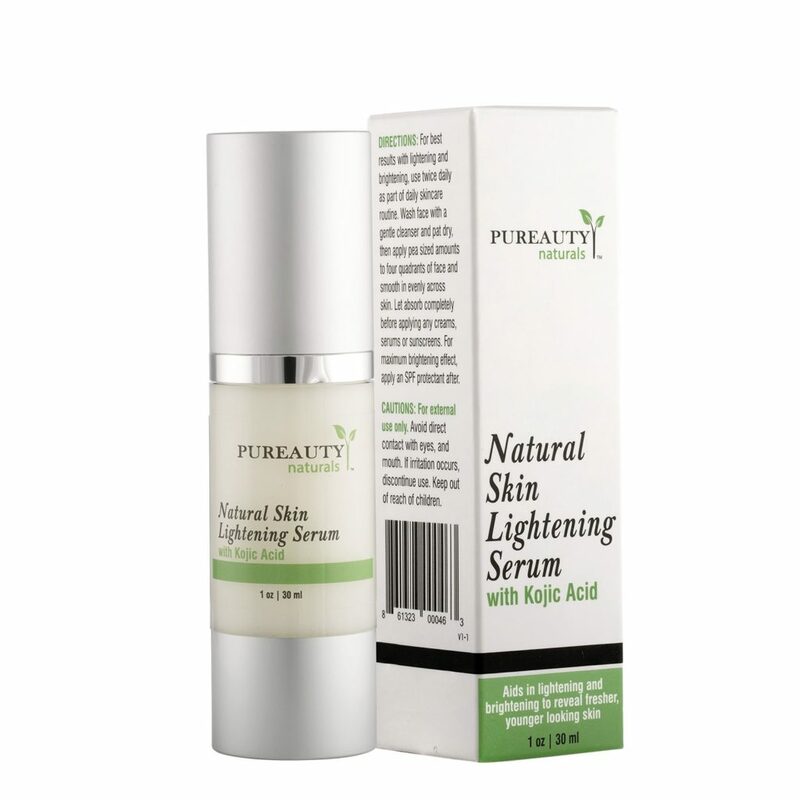 Pureauty Natural’s Skin Lightening serum helps to lighten areas with dark spots, hyperpigmentation, and blemishes. With this wonderful serum, the beautifully perfect, smooth skin you’ve always dreamed of can now potentially become a reality! By helping to suppress the process by which melanin is produced, the ingredients work in combination to help lighten existing areas of hyperpigmentation and to help prevent the development of new discoloration. Pureauty Natural’s Skin Lightening Serum helps to produce pronounced and long-lasting rejuvenation and youthfulness to your skin. For the best results with lightning and brightening, use twice daily as part of daily skincare routine. Wash face with a gentle cleanser and pat dry, the apply pea sized amounts to four quadrants of face and smooth in evenly across skin. Let absorb completely before applying any creams, serums or sunscreens. For maximum brightening effect , apply an SPF protestant after.